It is quite obvious that most people loves music, be it songs sand in your natural dialect or the ones sang in popular English language. The beats from drums, sounds from guitars and pianos, the overall pleasant sounds that comes from musical instruments are enjoyed by many who truly loves music. What about the notes, rhymes and lyrics, these are what music lovers can never pass a day without having an experience of it. But how many of us are aware with the fact that, music have a strong benefit to our mind and mental health in general? Music is popularly termed as a "universal language", because it passes its message in one way or the other, even if we are not familiar with the language a song is been sang with, we will definitely enjoy the flow of the instrumentals been used. Music can make someone cry or laugh, depending on the theme of the song. At the same time it can soothe someone after a hectic day, or gets the blood pumping after being involved in some few dance steps. But most importantly, music brings healing to the mind and soul. Have you ever asked yourself, why do you really get emotional when you have sank deep into the flow of a song you really love? How Does Music Benefits Our Health? We have talked a little about music and what it all entails, but he main question is still left unanswered yet, which is "How does music benefit our health"? "how does it affect our mental or overall health in general"? The answer is simple, it lies in our individual brain and the neurochemicals it produces. Listening to musical songs affects the activity of our brain and its chemistry, which controls our moods and physiological responses. There is a major suggestion, that frequent listening to music have the ability of improving our mental and overall health. I am a living testimony to this. In accordance to a review in the American Journal of Public health, listening to music decreases anxiety and stress and lowers heart and respiration rates. There have been a growing interest in music therapy, being used in intervention for patients with physical and mental diseases. In a study conducted with various cancer patients, it was discovered that music reduced their pain and improved their immune systems, while supporting their sense of control. Another study also discovered significant reduction in depression within patients. Victims of post-traumatic stress disorder also experience improvement while playing instruments or singing, which help regulate their breathing and heart rates. The varieties of health benefits derived from listening to music all have a strong neurological basis, that is they are all related to the brain. Listening to music greatly affects the areas of the brain associated with reward, mood and stress. 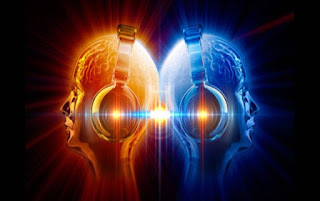 A study was conducted by neuropsychologist, Daniel Levitin, he discovered that areas related to the emotional and reward centers of our brain gets activated whenever we are listening to music. For instance, the amygdala and the temporal lobe, both of which plays a central role in recognising and processing emotions, are highly active whenever we are listening to music. This discovery suggests that music is closely linked to emotional experiences. You will observe that listening to music have a great impact in regulating our mood. When we are experiencing sad emotion, prolactin (a hormone that has a tranquilizing and comforting effect on mood) is been released. Sad songs or music have similar effect on us too, it tricks our brain in noticing the emotion of sadness, hence, prolactin is realsed as a response. This reason suggest why we often listen to sad songs in order to console our mood whenever we are observing sad times. The impact of music on stress cannot be left out either. When we listen to music, the body's level of cortisol is been decreased. Cortisol is known to be primary stress hormone. To add to it, music decreases the arousal levels of the central nervous system, thereby reducing anxiety. Some research has also indicated that the firing of neurons sometimes synchronizes with the beat of the music we are listening to. . Incredibly, the sedating effect of music can be so strong that patients may sometimes require less anaesthesia before medical procedures. This effect is also why patients often feel less anxious and less pain during their period of treatment. Music also have the potency of exciting the body. Pleasant and slow music usually have a calming effect on the body, while fast and stimulating music increases the rate of adrenalin production, which increases breathing and blood circulation. Another health benefit of music can be observed among athletes. Nearly each and every one of them plug on their head phones when they are our for the daily jogging, it is for a good reason. The same observation by Daniel suggest that motivation, stamina and aerobic power. if you are feeling down or stressed, it is better to revive yourself by playing some of your favourite songs. Music always sticks with us, whether through the good or bad times. You should also note that listening to music s not a cure for any mental and physical disorders, but it is also better to use it as a helping hand.